Unfortunately, the Brunton ADC Ridge is no longer available. You can explore other items in the Weather Stations category yourself to try and find the perfect replacement for you! Using the Brunton ADC Ridge precision altimeter, you can track your climbing progress as well as predict changes in local weather conditions. 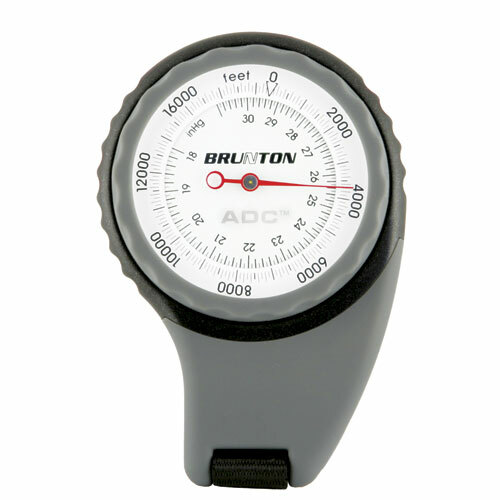 The Brunton Altimeter calibrates easily by setting the rotary dial to a known altitude. Is the ADC Ridge available in Meters? The ADC Ridge is not offered in meters, only in Feet. Since the ADC Ridge has been discontinued. What is the closest replacement? Brunton has replaced the mechanical ADC Ridge with an all digital line up called the Nomad.